Whether you believe it or not, jealousy in relationships is very common these days and if you say you love your partner then you will probably feel jealous seeing him with another lady. Ladies most especially get very jealous when it comes to their boyfriends so I guess it’s pretty normal that I feel this way sometimes. I cannot just help it at times when I sight him speaking with some other lady. It’s not as if something is going on between them but merely seeing them together just puts all sorts of unwanted ideas in my head. Now if you are just like me and you are wondering how one can get over jealousy in relationships then you are in the right place. I am not saying you will completely stop feeling jealous but it will reduce drastically. People who are always jealous often times are those who feel insecure in their relationships. So in order to limit how much jealousy you feel, its good you understand what kind of love you and your partner share. Do you see him as someone who loves you deeply and will do anything for you? Does he love you more than himself? Does he go the extra mile to please you? Does he express his love for you without mincing words? If your answer is positive, then you are probably just over reacting and there may really be no cause for alarm. If you can be confident about your love then there is really no need for any jealous behavior. I would not want to say you should monitor him but it is not a bad idea to keep a close eye on him. Once you start having doubts about whomever you see your partner with, it is high time you survey. Has his attitude towards you changed? Does he hide things or information from you? Does he keep his phone away from you? Has his love for you reduced over time? 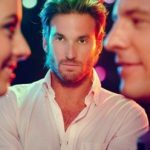 To get over jealousy in relationships, you may need to act as a spy to clear all doubts but without letting him know what you are doing. Looking through his phone messages and activities is one sure way to do that. If he is cheating on you, you will definitely see one or two things that reflect that but if not then there is no need to be jealous over someone else. If you do this consistently and do not find anything incriminating, I am sure the next time you see him with another lady, you will not think otherwise. One way to get over jealousy in relationships is to talk about it and let him know how you feel. There really is no use keeping quiet about it because if you do your heart will not be at rest. Ask him questions and explain how you feel so he will understand what you are going through. If he is able to convince you that all is well, then so be it. One thing I do that reassures me of my relationship is being able to access the lady I have doubts about. I ask myself certain questions like is she more beautiful than me? What is so special about her? Is she his type? Is she enough reason to be jealous over? If I am convinced within me that she is no match for me and she is not a competition then that feeling of jealousy will surely reduce. Jealousy in relationships is inevitable as it happens all the time. The most important thing is being able to handle and manage it so it does not get out of hand and cause you more troubles with your partner. Are these tips useful? If yes, share using the social media buttons below.